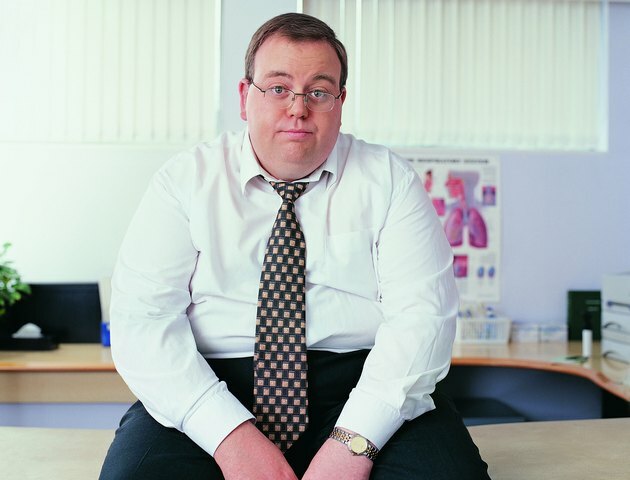 One-third of U.S. adults are obese, reports the Centers for Disease Control and Prevention, or CDC. While more invasive procedures, such as gastric bypass, have gained popularity, the first step in treating obesity is through diet and exercise. Although most people who begin a weight loss plan are serious about changing their lives, many will fail, simply because they are poorly informed. A calorie is a unit of measure used to rate the amount of energy contained in food. Calories are what fuel our bodies. When you eat more calories than your body needs, that energy is stored as body fat. The key to weight loss is to eat fewer calories than you burn, according to the CDC. This is why dieters are told to lower their calorie intake. While lowering calorie intake is important for weight loss, it is just as important to raise activity level as well. Not only does exercise help to burn more calories, it also improves cardiovascular fitness, strength and emotional well-being, reports the CDC. If starting an exercise program for the first time or after an extended layoff, walking can be a great start. Especially for the obese, running or jogging can be stressful to the bones and joints. A 30-minute walk, four to five times per week is a great introduction to exercise. Even three, 10-minute walks per day are beneficial for health if you can't get 30 minutes in at once, reports the American Heart Association. The key to a weight loss eating plan is to limit calories while still enjoying delicious foods. While there are literally hundreds of diets on the market with various gimmicks, experts agree that a healthy diet low in fat, sodium and added sugar, according to the National Heart, Lung and Blood Institute. Lean meats like flank steak, chicken, turkey and fish can substitute for fatty red meats and pork. Whole grain bread and pasta are better choices than white flour products. Healthy oils like olive oil and canola oil can take the place of butter or margarine. 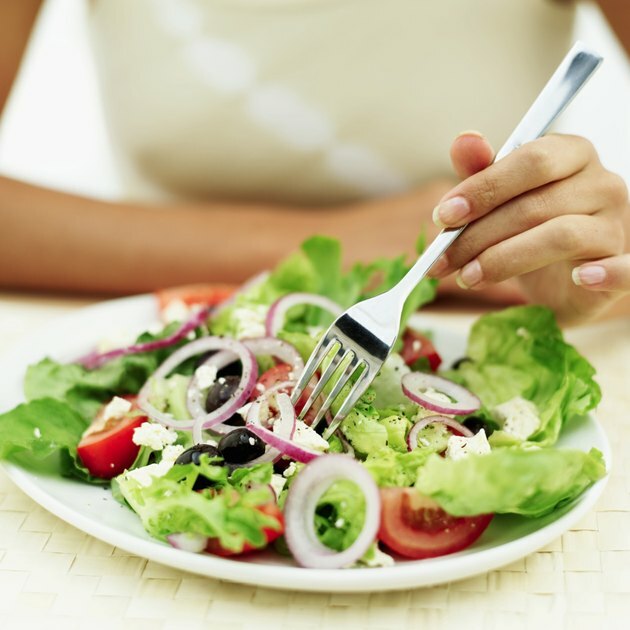 Portion control is an essential element of weight loss that is difficult for many to control. Portions seen in restaurants are two to four times larger than actual U.S. Food and Drug Administration, or FDA, specified serving sizes, according to the August 2007 issue of "Obesity." 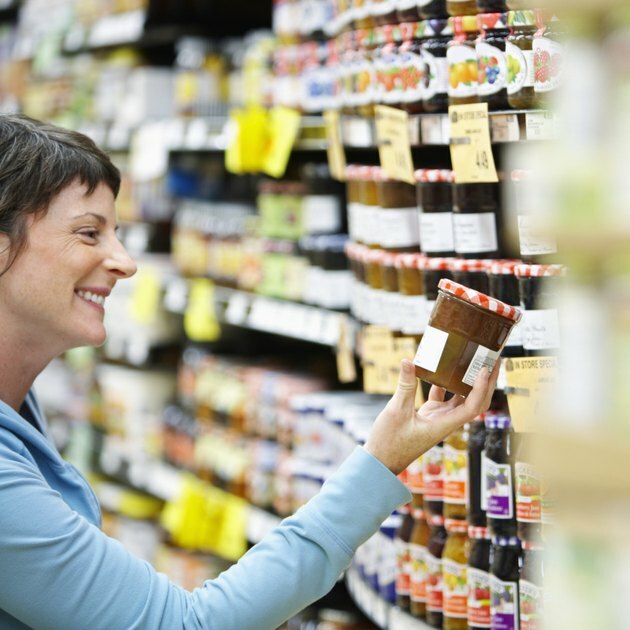 It is important to read the nutritional information on foods and pay attention to the actual serving size. It’s common for a package of food intended to be two or three servings, to be mistakenly counted as one. For example, it's easy to eat an entire can of soup, but if you look at the "Servings Per Container" on the label, it is often 2 to 2.5 servings. The most successful dieters take a grazing approach to weight loss. Rather than cut out meals, a more effective approach is to spread out the calories into about five meals per day. Three small meals with two healthy snacks would be the norm. Eating more often helps control hunger and reduces the risk of overeating, according to the November 2011 issue of the "Journal of the American Dietetic Association." For breakfast, three egg whites with whole grain toast, a banana, and coffee would supply plenty of protein and complex carbohydrates for energy. An apple and a bottle of water between breakfast and lunch. 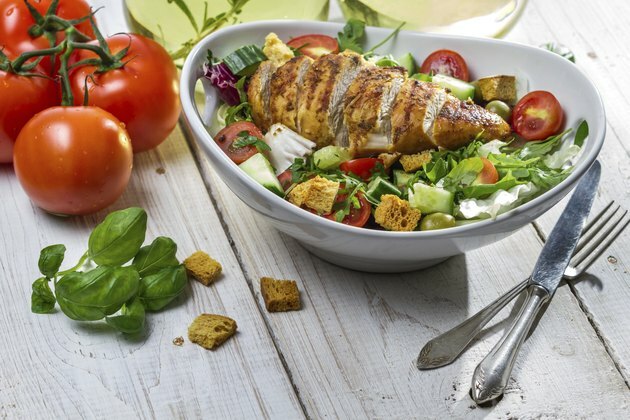 Grilled chicken over a salad with low-fat dressing is a protein packed, low-fat lunch. Unsweetened iced tea with lemon would be a perfect low-calorie beverage. 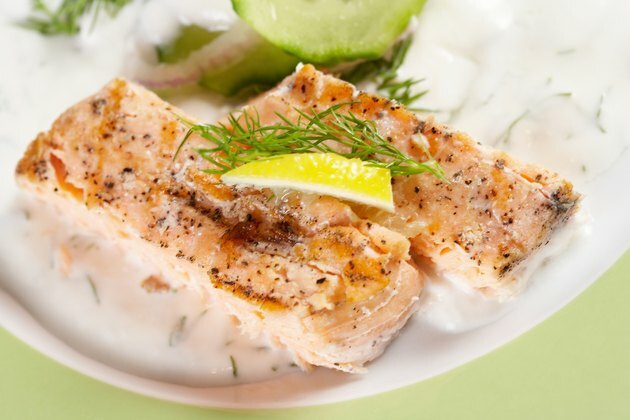 Between lunch and dinner, sugar-free yogurt and another bottle of water will prevent the drop in energy normally felt at around 3 p.m.
For dinner, 8 ounces of salmon with mixed vegetables and brown rice can be a great tasting, filling final meal. Decaf unsweetened iced tea is refreshing and will not interfere with sleep.